It’s all well and good moaning about headlines like the one above and the bias of anti landlord media which leads to increased legislation and higher taxes but what are we doing about it? Ah yes, we are going to pass on all the costs to our tenants because they should foot the bill – right? Erm, are we not missing the point here? Won’t increased rents just make the perceptions worse? Where is the resistance moment? Who is fighting for landlords? “When it comes to journalists saying things that appear ‘anti-landlord’ – well, I might be accused of being self-serving here but often it’s a case of journalists reporting what others say rather than journalists reporting their own views. For good or for bad, landlords haven’t really organised themselves very well – as a journalist, my perception is that the two main landlord organisations, for example, often seem more determined to score points off each other than really defend the sector. They don’t put the effort, focus or resources into getting their message across to the wider public that some of the industry’s opponents do. This pretty much sums up how most of of think doesn’t it? The question is; what are we going to do about it? Are we going to bury our heads in the sands and hope it all goes away? 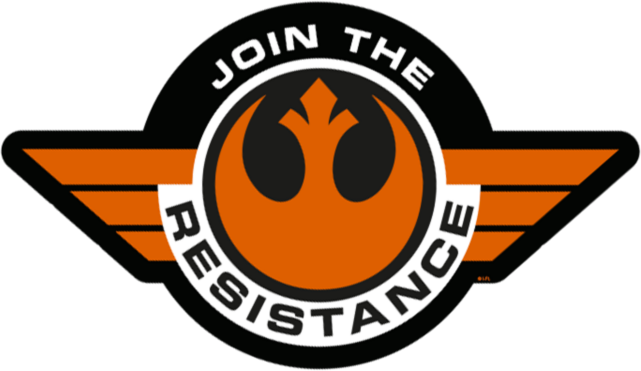 To mount an resistance movement we need funding though. Not to buy guns and bombs of course, all we really need is a few thousand landlords to chip in £10 a month each and we can employ a small army of gladiators in suits. Press agencies who have the high level contacts with the media so that we can respond to articles and get the benefits of a healthy private rented sector back onto the front pages of the media. It may take a while just to persuade the media to report our views and to invite us to respond or quote our opposing views in their articles, which are otherwise anti-landlord and biased, however, if we don’t start we will never complete the task and things will only get worse. When have you ever seen one of the landlord trade bodies ever quote the opinions of their rivals on issues affecting landlords? When we have enough contributors to start the PR process we all know we need, rest assured, we will be asking our media agency contacts to seek commentary from the NLA, RLA, DPS, TDS, MyDeposits, ARLA, NALS, SAFEagent and many more organisations when preparing our press releases and responses to articles written by our true opponents. We are not precious about pure self promotion, which is why we want any commentary we put into the media to consider the views of all the key bodies reliant upon a healthy PRS. Chances are, regardless of how strongly you might feel about improving the media reporting of the private rented sector, you probably can’t afford to pay for a full time media agency. However, you can probably afford to chip in £10 a month and find the time to persuade another 5 or 6 landlords to do the same. If we all do that a powerful resistance movement will be born in no time at all. So are you with us? Personally, I think we should squeeze out RLA...they are a complete shower! But I know you said before, Mark, that you thought they had their place. Rogue landlords should be jailed but guess what, they can't do anything with them as there is nowhere to put their unfortunate tenants so they are allowed to continue un challenged. They get more publicity than the good landlords which are the vast majority - same olld story though good stories about good landlords wont sell papers and that is all they are interested in: headlines! I agree that paying the newspapers to further our cause (despite my hate for them) is probably the only way to get our story out there. It's a sad old world! What is a rogue landlord though? Some authorities would say it is somebody who has committed a criminal offence. However, what if that offence is not knowing they were in a selective licensing area and they hadn't purchased a licence? What if they failed to spot that one of their tenants is an illegal immigrant and gave them a fake passport? The ones that are blatantly breaking the rules and paying no tax on their ill gotten gains. The ones who convert a 2 bed into an 8 bed yet don't follow HMO rules or have it licenced.... Those that don't register as landlords and get away with everything we can't get away with! Those you see on the telly that get a slap on the wrist and told to sort it out but don't. If some landlords were fined properly or even jailed an example would be set and a others less likely to follow in their steps. Registration is a big con created only to collect money for the coffers..... (In my area anyway) have had the council track me down for a flood weeks after the event saying they couldn't find me and they eventually got my name through the police? Why didn't they just check their landlord registration files! Anyone else selling up? I have evicted three people on benefits because their benefits were not getting paid and still have the three flats empty not knowing whether it is viable to let again or not! Yes I know the type you mean; criminals masquarading as landlords. The type of people who rent beds in sheds and cram as many people as possible into property where they lay head to toe on mattresses on the floor. The thing is; the Councils have powers to shut these places down already. I also love what Manchester are doing in terms of compulsory purchasing properties from the worst offenders. I just hope this power doesn't go to their heads and get abused. I'm not selling up but I am gradually downsizing my portfolio for personal reasons. Eviction due to landlord not paying the mortgage? Be one of the first to hear about new tax planning strategies as they evolve. Have Direct access to our Hon. Legal Counsel Mark Smith (Barrister-At-Law) when you have legal problems. Please note that to be represented in legal action campaigns you will need to upgrade to Lifetime Membership. You will never be required to contribute to any action we undertake for the benefit of members. You will receive a copy of the most comprehensive spreadsheet ever produced to afford you and your professional advisers to fully analyse the impact of restrictions on mortgage interest relief for individual landlords. The spreadsheet will also calculate the alternative tax position based on incorporation and the costs and strategies associated with that. 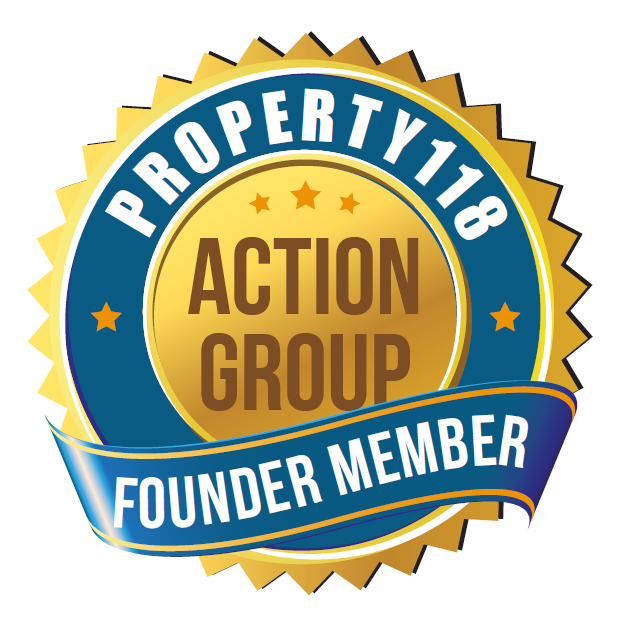 You will be able to use the Property118 Action Group “Founder Member” badge on stationery, websites etc. To raise standards from suppliers of products and services to the UK private rented sector. To increase awareness of the social and economic benefits of a healthy private rented sector in the UK. To ensure that greater consideration is given to consequences of legislation affecting the UK private rented sector before it is implemented. To provide an effective deterrent to rogue operators preying on private housing providers, not only with a voice but also with teeth in terms of legal capability and they contacts and money required to back it. Our vision is crystal clear, as are the steps we need to take, but we need YOUR help. If just a few hundred landlords can take on the might of a rogue financial institution (and WIN! ), just imagine what thousands of us can achieve! When Property118 Action group took on the legal campaign to challenge the actions of West Bromwich Mortgage Company there were obviously doubters who said we would never raise the £500,000 required to go to Court, and even if we did we would lose. We proved them wrong! The Financial Ombudsman Service had previously ruled in favour of the mortgage lender! Challenging the Bank of Ireland decision to add a premium to tracker rate mortgage margins. Over 13,000 are affected! Some are landlords, some are homeowners. Challenging Skipton Building Society breach of contract in respect of abandonment of their contractual commitment to cap their standard variable mortgage rates to 3% over the Bank of England base rate. Over 130,000 mortgage borrowers have been paying too much interest since 2010! Some are landlords, some are homeowners. Property118 Action Group has committed to pledge £100 to the “Axe The #TenantTax” campaign for every Lifetime Founder Member. The #TenantTax is arguably the greatest threat to the private rented sector due many landlords considering selling up. Any reduction in supply of quality rental property will negatively impact letting agents and well as increasing demand amongst tenants, thus driving up rents. In addition to providing funding towards the intended Judicial Review of #TenantTax Property118 Action Group has undertaken significant research and lobbying as well as using our official Google News Publisher website status to promote the cause. The Property118 website attracts more than 1.8 million unique users a year and is considered to be a centre of influence amongst mainstream and regional media groups. There are many examples of landlords having been victims of fraud by abuse of position committed by their letting agent where Police and CPS have dropped cases due to lack of resource. We have several cases ongoing where agents have used client money to pay themselves huge bonuses before putting their businesses into administration. As a result of the Police failing to get involved Property118 Action Group has been helping to raise the funding necessary to mount private criminal prosecutions on behalf of our members. Many of these are now coming to trial. Property118 Action Group pay all initial costs associated with private criminal prosecutions where groups of 15 or more of our members have been victims of crimes perpetrated by the same business. The Crown picks up legal costs once Magistrates agree that a trial is in the interests of the public, regardless of whether the accused is found innocent or guilty. In March 2013 Bank of Ireland raised tracker rate mortgage margins. Over 13,000 borrowers were affected. Many of these originally took mortgages with Bristol & West which was taken over by Bank of Ireland. Two Barristers and one QC provided written opinion that they believed the Bank were in breach of contract. Sadly, Property118 Action Group didn’t exist then. Many of the affected borrowers initially expressed an interest in legal action. However, when it came to having to commit substantial sums of money to fund legal action their enthusiasm quickly dissipated leaving less than a few dozen of the more militant campaigners with the impossible task of raising the required funds. If each of those affected had only needed to commit to paying a one of fee of £600 or committing to a monthly subscription of £10 a month the position might have been very different, as would the level of media attention on the case as it progressed through the judicial system. Many of the affected borrowers have already overpaid 10’s of thousands of pounds. The Financial Services Ombudsman ruled the bank was within its rights to make the changes. However, following the Court of Appeal overruling the FOS decision in respect of the West Bromwich Mortgage Company rate hike, Property118 Action Group plans to take further legal action on behalf of its member in August 2016. All Founder/Lifetime Members with mortgages affected by this lender will be invited to be part of this legal action at no extra cost. In 2010 Skipton Building Society unilaterally decided to abandon a contractual commitment to cap their standard variable mortgage rates to 3% over the bank of England base rate. An estimated 135,000 mortgages were affected, many of which had been provided via their subsidiary company Amber Homeloans. The Financial Services Ombudsman ruled the lender was within its rights to make the changes. However, following the Court of Appeal overruling the FOS decision in respect of the West Bromwich Mortgage Company rate hike, Property118 Action Group plans to take further legal action on behalf of its member in August 2016. Again we have the legal opinion of two barristers, both of which have advised that the lender is in breach of contract and that a Court is likely to award a full refund of all payments over and above what the mortgage contract allowed for. All Founder/Lifetime Members with mortgages affected by this lender will be invited to be part of this legal action at no extra cost. Property118 Action Group is not insurance based, it is more akin to a Union which utilises member subscriptions to protect and fight for the rights of its members. It does not provide legal services but will procure them where necessary. Successes in the Courtroom enhance our public profile and drive an increasing number of landlords to seek the security and peace of mind that only Property118 Action Group membership can provide. As many landlords have learned to their peril; when it comes to funding litigation against mortgage lenders or the Government, legal fees insurance policies often prove to be about as useful as a chocolate fire guard. Furthermore, trade bodies rarely have the necessary experience, resolve, finances or other resources to get involved in action beyond referring their members to their preferred suppliers of legal services, the authorities or Ombudsmen. Who is Property118 Action Group For? The UK private rented sector is often described as one of the UK’s remaining “cottage industries”. Private landlords own around 4.8 million properties providing housing for around 22% of the adult population. Private housing providers (buy-to-let landlords) often lack the experience and finances to defend their rights. Membership of Property118 Action Group provides a unique and powerful umbrella at a very reasonable price. Letting Agents are highly reliant upon a healthy private rented sector. Successfully defending our members’ rights continues to enhance our public profile through media based PR and reporting. ARLA (Association of Residential Letting Agents) were the first to agree to promote Property118 Action Group at their landlord exhibitions, by having roll up banners on their own exhibition stand, handing out leaflets to attendees and signing up new members. From time to time we look for volunteers from our membership to represent us at events. Obviously we cover their reasonable expenses for this. 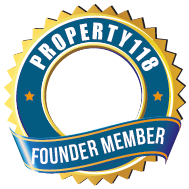 Naturally, we encourage our members to share the advantages of being a member of Property118 Action Group through social media, talking to friends, email and so forth. 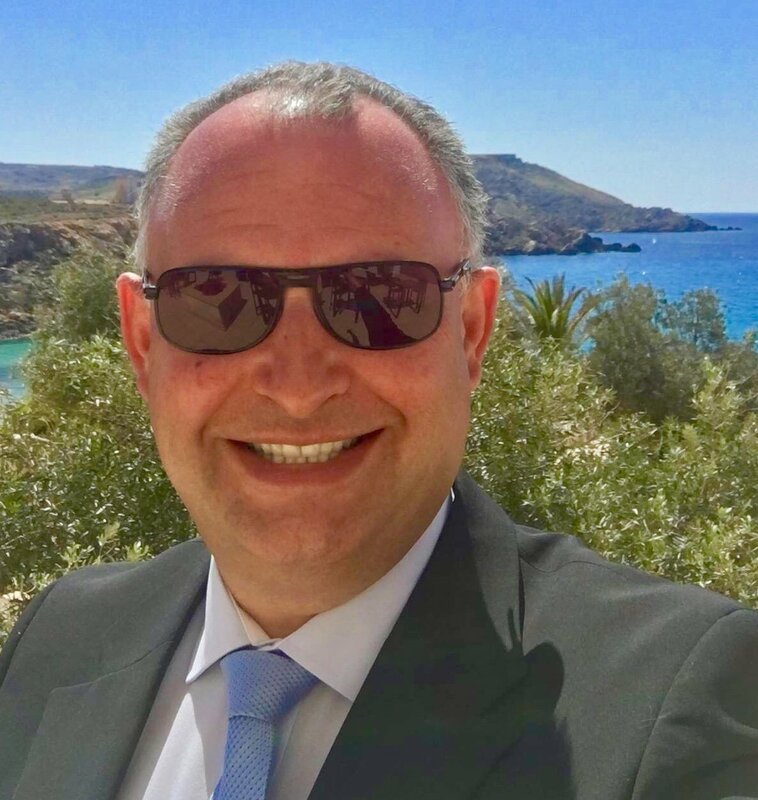 We also run quarterly competitions for Founder Members whereby the person who helps us to recruit the most members wins a 5 star holiday in Malta for a week. In 2015 the Property118.com website had over 3 million page views from over 1.8 million unique visitors. The projection for 2016 is over 8 million page views based on the results in the first half of the year, trajectory of growth and the anticipated additional interest off the back of the win against West Bromwich Mortgage Company at the Court of Appeal. We continue to form strategic alliances with many more organisations representing large numbers of landlords or letting agents. We have produced leaflets, logo’s, website widgets, and roll-up banners for use in offices, shops and exhibitions. These, along with other support in terms of copy-writing, Press Releases and joint PR are all available free of charge to any organisation that wishes to form a Strategic Alliance. You can read more about our various campaign updates and strategies HERE.